Sphere of Annihilation: Blog Hop Challenge: D&D's 40th Anniversary! 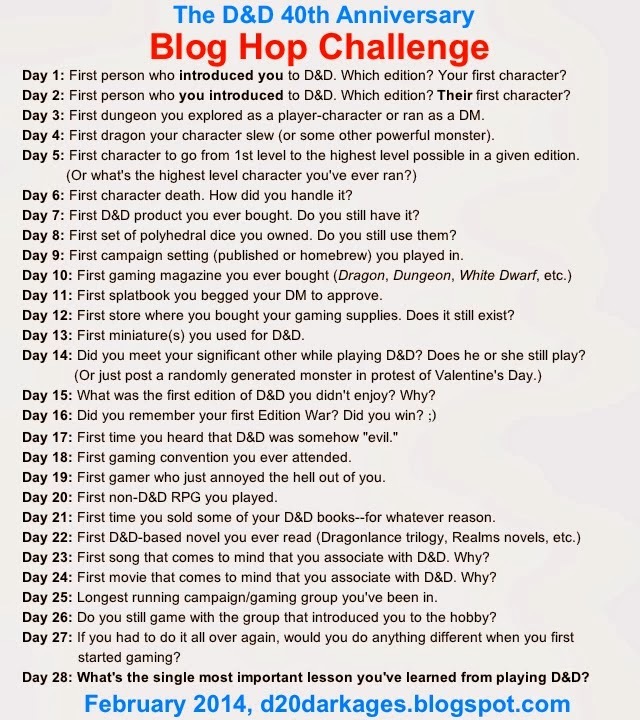 Stelios V. Perdios at d20 Dark Ages is doing a blog hop challenge for February. Each day will be an entry about D&D; how you got started, how it has affected you, etc. Seems like a cool idea. I hope I can figure out the html thingy. The last time that I did any programming VGA monitors were state of the art and games still came on floppy disks. For more info check out Stelio's blog.